Even a few bad early meets can taint a gymnast’s view of how the rest of the season will progress. There is a feeling among many gymnasts that if, “I don’t hit the perfect routine,” or, “I don’t have the perfect meet,” then the season is lost. 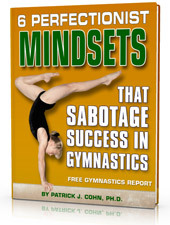 Although gymnasts are taught to look perfect, perfectionism is the adversary that destroys many gymnasts. The need to validate your worth by achieving the ever-elusive perfection crushes self esteem. Here’s the kicker when it comes to perfectionism… Perfectionism is the pursuit of achieving the unachievable and anything less than achieving the unachievable is failure! This is called the all or none syndrome for perfectionists. The need to be perfect sets you up to feel like you are failing every time. 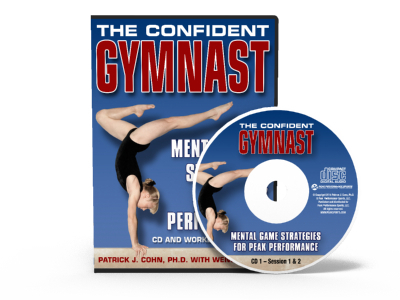 Even under the old scoring system, a score of 10 or what some gymnasts referred to as a ‘perfect score,’ was not indicative of a perfect routine. The top score of 10 meant an exceptional routine. 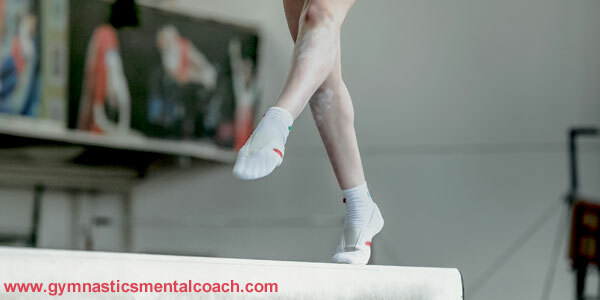 What makes perfectionism even harder to avoid are the outside sources pushing you to be perfect, such as parents who want 10’s on every routine or coaches who push you to perform the perfect routine. Whatever the case, you must refuse to buy into the illusion of perfectionism. Take the preseason as the time to work out the kinks and the early part of the season to work out the kinks under pressure. 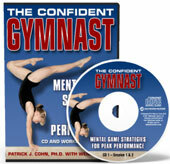 The gymnastics season should be a build-up of skills and a refinement of your routine throughout the season. LSU Women’s gymnastics team has been a contender for the national title over the past couple of seasons but the Tiger squad is looking to make the next jump. LSU knows that they don’t need to be perfect to compete for the national championship. Instead each member of the team is focusing on improving their routines and building their confidence throughout the year in order to be on top of their game from mid-season forward. LSU coach D-D Breaux wanted her team to get acclimated to before the scores start counting for real. LSU is approaching the start of the season yet they are still trying to tighten up their routines. Senior Myia Hambrick’s attitude is representative of the team’s mentality. Junior Sarah Finnegan highlighted the team’s objectives for the start of the season and their focus on steady improvement. If you want high confidence throughout a season, stay focused on your progress. With each step forward, you will feel accomplished, which adds to your confidence. Perfectionism has the reverse effect. With every misstep, you will feel like a failure, which undermines confidence. If you want season-long confidence, there really is only one choice! You’re not trying to undo perfectionism, but rather manager the downside risks. High expectations, fragile confidence, easily frustrated with mistakes, stuck in a practice mindset, and worry about what others think are some of the challenges that come with perfectionism. Start by viewing the quality of your performance from 1-10 instead of 1 or 10. Learn when to stop the training and transition into the competition mindset where you rely on what you’ve learned instead of over think your performance. 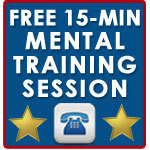 “I really appreciate your mental game tips. It is very informative and useful, helped my game so much.